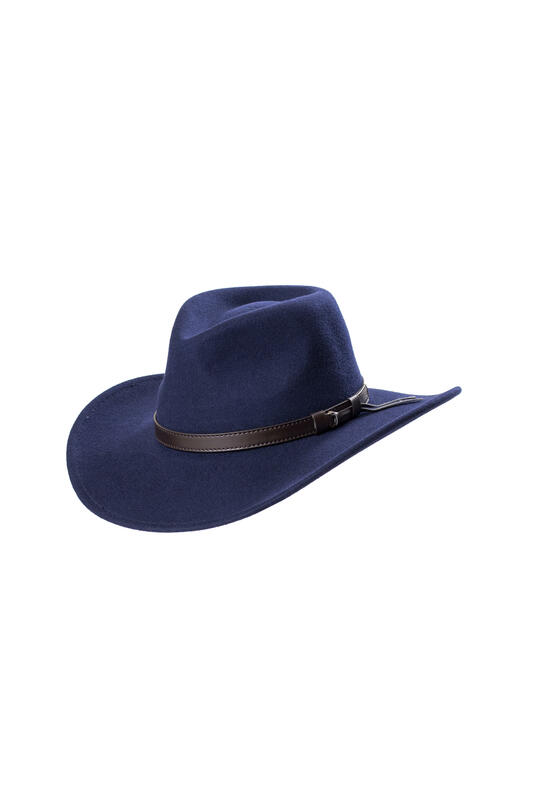 Handmade Cowboy hat made using 100% wool felt and featuring a leather band. It also has a cotton sweatband. 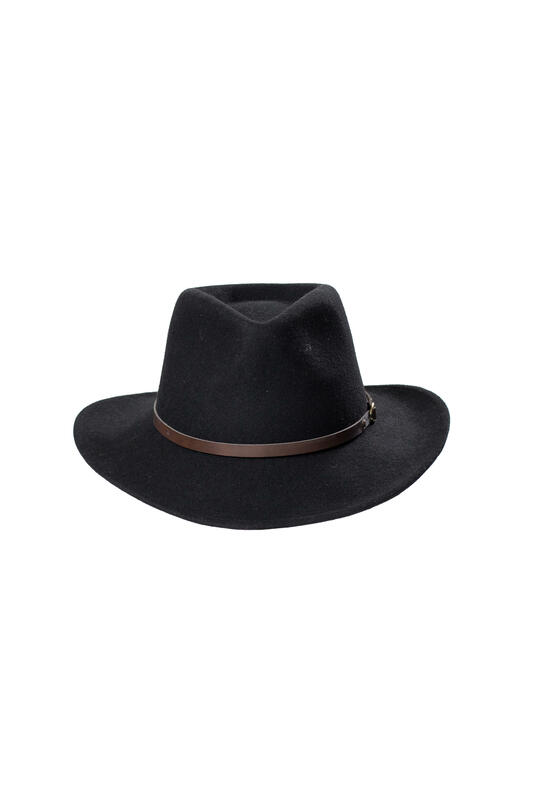 The wide brim turns up at the sides giving the classic cowboy silhouette. Available in black, brown and navy blue.